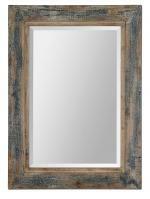 If you are looking for a traditional mirror that will fit in your natural décor, then this Coaldale mirror is a great choice. 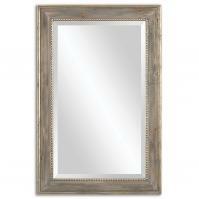 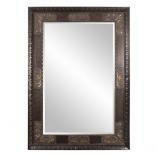 The mirror features a wood frame that is finished in silver champagne leaf. The wood grain in the frame is allowed to show through, creating an elegant but natural look that would be perfect for a man’s office or bedroom or a family room, dining area or bathroom. 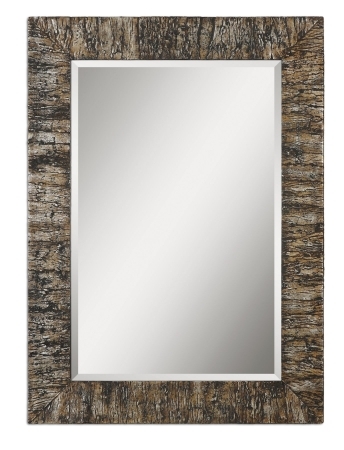 The mirror measures about 33 inches by 45 inches and can be hung at either portrait or landscape orientation, depending on the needs of your wall space.